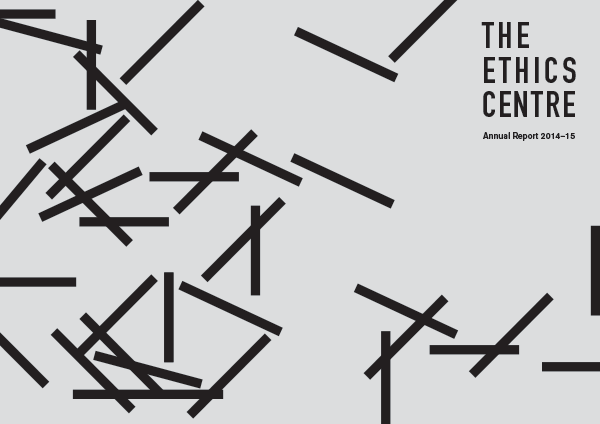 The Ethics Centre is a not-for-profit organisation developing and delivering innovative programs, services and experiences, designed to bring ethics to the centre of personal and professional life. Our activities span live events, including IQ2 and the Festival of Dangerous Ideas, ethics consulting and education for organisations from all sectors and of all sizes, Ethi-call, our free ethics helpline, and advocacy campaigns. Across all our work, the same goals drive what we do: to bring people together, create space for open and honest conversations, and build the skills and capacity of people to live and act according to their values. We remain committed to injecting a pause into the centre of public life and allowing people to stop, connect with others and explore the ethical dimension of our everyday lives. Us and the lives we chose to live. Us in the context of the world. Engaging with the ethical dimension of life. Ethics helps guide through complex terrain. Supporting choices that are good and right. To bring ethics to the centre of everyday life. A world where we know ourselves and others: where we have the courage to stand up for our values and principles, the wisdom to explore the complex and unknown, and the imagination and heart to strive for the very best we can be. We deliver innovative programs, services and experiences, to bring ethics to the centre of professional and personal life. Our activities span live events, ethics consulting and education, a free ethics helpline, and advocacy campaigns. Across all our work, the same goal drives what we do: to bring people together, create the space for open and honest conversations, and build the skills and capacity of people to live and act according to their values and principles. People matter most. Every person has intrinsic dignity and deserves respect. We’ll reject ideas or views that aim to deny the humanity of others. Socrates believed that the unexamined life is not worth living. Questioning who we are, being conscious of what we think and do and being alive to what’s good and right is what makes us ethical beings. Listening is the foundation for mutual respect and understanding. Being open to others makes us worthy to respond. We provide opportunities for all voices to be heard – including the silenced or ignored. There is plenty of bad reasoning in the world: we won’t contribute to it. We create opportunities for people to explore diverse and often challenging ideas to support deeper thinking, good choices and better outcomes. Finding solutions to ethical challenges requires imagination. We’ll honour the philosophical traditions that inform our work with a commitment to apply them to our increasingly complex world. We’ll never stop creating better solutions, better futures and better ways to be in the world. Ethics demands courage. We won’t shy away from hard truths, uncomfortable topics or compromise our independence. We won’t trade doing what’s right for what’s easy – or profitable – even if it pits us against public opinion or the powerful. Living ethically is not about telling people what to think and do: it’s about living with integrity. Be who you say you are. We are a diverse team who bring a range of skills, life experiences, knowledge and passion for ethics to everything we do. Get to know a little more about us. Find someone to speak about ethics. Let’s discover what we can work on together. Help us bring ethics to the centre of everyday life. Abhi is a Chartered Professional Accountant with over six years of work experience within Finance and Accounting. He looks after the finance function for The Ethics Centre, both at operational and strategic level. Prior to joining us at The Ethics Centre, Abhi worked with major international logistics and travel companies. He holds an undergraduate degree in Professional Accounting from Macquarie University, plus he’s an avid cricket fan! What inspires you about the work that you do? It’s great to be a part of an organisation that allows a platform for all ideas, and promotes good ethics both at organisational and individual level. Adriana is a consultant in the in Advice and Education team at The Ethics Centre. She has significant experience across public policy, human rights and international development. Her previous roles includes strategic advice on workers rights and the prevention of gender based violence with Care International in Cambodia senior advisor on age discrimination at the Australian Human Rights Commission. Prior to this she worked on economic policy issues for the Australian Treasury. Adriana holds honours degrees in law and philosophy. The Ethics Centre facilitates thinking about complex and difficult topics and makes it easier for people to live by their values. Through the work we do, there is so much to learn and so much to contribute. Ethics frames our interactions with people and the way society fits together. By thinking more about ethics, we can work to create a better world. Alex Wain is a digital professional with a rich and unique mix of online expertise spanning 15 years across media, digital and entertainment portals – working with such companies as Universal Music Group, Rolling Stone Magazine & Myspace. He is the co-founder of pop culture sites So Bad So Good & Nothing Cooler home to over 1 million visitors each month, and is regarded as one of Australia’s Top 10 content creators. In an era of fake news and personal agendas, it’s vital we champion critical thinking that strikes at the very core of how we want to lead our lives and the world we want to create. We need an antidote to the dangerous filter bubbles we face online. An educated and inclusive world is one I want to live in. For me, The Ethics Centre provides a platform to ask those thought-provoking questions and have those debates that have the power to shape our morals and future selves. Ethics is a system designed to create the best outcomes for you and the world. Briana is a versatile and passionate professional with over 15 years experience in the not-for-profit sector. She specialises in research, logistics and strategy and enjoys forming positive and productive relationships. Prior to joining us at The Ethics Centre, she worked with purpose-led organisations such as Living Future Institute of Australia and Green Building Council of Australia. She has degrees in Ecology and Environmental Science and Sustainable Development. Every day we make choices that change the world in some small way. From purchasing our morning coffee to what we read and how we interact with customer service staff and fellow commuters. In a time where global problems are so large they’re almost unfathomable, its empowering to take the time to make thoughtful and informed decisions that reflect the kind of world we want to live in. Ethics is about paying attention. It’s taking the time to make thoughtful and informed decisions that reflect the world we want to live in. Cherie has a extensive background in administration. After working 18 years with government departments she enrolled into a Bachelor of Social Science – Anthology at Macquarie University. Cherie is continuing her study and has recently joined the Centre’s Advice and Education team to provide support on consulting, counselling and education projects. I’m inspired to be working within The Ethics Centre because of the diversity of ethical issues to be recognised in society. We can learn and grow to be able to better understand the world around us and the people within it. Ethics can help us improve on our own choices and our work can empower people to make better choices for themselves and the broader community. Ethics matters to me because it allows decisions to be made which are fair and reasonable. Cris heads The Ethics Alliance, a community of organisations across sectors that works to collaboratively shape the future of business ethics. She is also a director of The Banking & Finance Oath, a pledge of integrity and commitment that aims to increase consideration of stakeholders and decision-making accountability by financial service professionals. It is a program she helped execute, and still oversees. She holds a degree in psychology, and in another life, founded a Manhattan theatre company, casting agency, and production studio. I am inspired by the humanity that lies under the belly of business and the genuine desire to strengthen society. I am forever inspired by the people I work with who are so wholly committed to what they do. I am inspired by the impact of the work we do. Whether it is one person or a room of people, you can see and hear the impact – there is a hunger to learn and contribute to a better society. My kids are going to make decisions that set the course for their lives. Ethics will help them make choices that are right for them. David is a senior consultant with international experience across the not-for-profit, public and private sectors. His past employers include the United Nations Development Program, Deloitte, the Independent Commission Against Corruption and Sydney University. He brings expertise in anti-corruption, probity, corporate planning, and change management to the Centre’s consultancy services and his clients have included many of the top 50 ASX listed companies, government regulators and some of the most well-known non-profit organisations. I love seeing how much interest people have in doing what’s ethical, in their endeavour to be more than just a cog in the wheel of nature. And I’ve been fortunate enough to witness many times how our work can bring together the breadth of the human experience to open up new possibilities. Ethics suggests there is more to us than meets the eye – something that unites us all. Matt is a moral philosopher with a background in applied and military ethics. He has taught philosophy and ethics at university for several years, and has been extensively published in academic journals, book chapters and is a sought after speaker at both national and international conferences. In 2016, Matt won the Australasian Association of Philosophy prize for media engagement, recognising his “prolific contribution to public philosophy”. He is columnist with New Philosopher magazine and ABC Life, and a podcaster on the ABC’s Short & Curly program, an award-winning children’s ethics podcast..
I’m inspired when I see our work inspire others. Whether I’m in the classroom, writing, working with colleagues or speaking to a room full of people, what drives me is the ‘aha’ moment. When people suddenly understand the world in a new light. They’re inspired to do things differently, ask different questions and seek better answers. In a moment, someone can suddenly realise what it means to live well. That’s the spark for me. Because one day I’ll be dead. I want to make sure I spend my time being, and doing, good. Salmah Eva-lina has a 20+ year career spanning business, international and community development, and academia. A former director with Deloitte, leading audit and risk management practices in London, New York and Sydney, she has also worked for the UN in Afghanistan, Bhutan and Papua New Guinea and been CEO of a small not-for-profit in PNG. Her PhD research introduced new theoretical frameworks for thinking about difference and gender equality, and has enhanced understanding of how communities respond to, and adapt to, externally-driven changes. She continues to research, publish and teach in the field of gender equality. In a world where the only constant is change, and where the population of 7 billion humans continues to grow, exerting pressure on the environment and on social systems, it’s vital to be able to have civil conversations around points of difference. Helping individuals and organisations expand their knowledge of themselves to better negotiate and adapt to change in ways that minimise harm is extremely rewarding. We’re social creatures and more and more frequently, because there are more and more of us, we experience conflict. An ethical framework helps to negotiate those tensions. People. I am inspired by their openness and generosity in sharing their thoughts and feelings with me. I am inspired by our common frailty in the midst of uncertainty – and the fact that this need not be overwhelming. I am inspired by the opportunity to continue learning about our brilliant, troubling, contradictory, maddeningly beautiful form of being – simultaneously the most creative and destructive creature on earth; a source of wonder and dread. If I can help people to fall ‘just the right side’ of each question, then I play a small role in making a better future. It is only when we live an examined life that we live a fully human life. Ed joined The Ethics Centre as Executive General Manager in 2014 after a career in the interconnected worlds of marketing, communications, entertainment and live events. His diverse roles include editor of Rolling Stone Magazine, TV producer, talent consultant to The Voice and X Factor, Twitter executive, CEO of Warner Music, Managing Director of BMG Music, Chairman of ARIA and CEO of Renovating For Profit. Throughout his career, Ed has experienced a range of ethical dilemmas and is cherishing his role where enabling good decision making is his core work, helping original thinking and lively public debate flourish. We create light-bulb moments for people. Through our events, our content and our work, we reveal things they hadn’t seen before, and we help to guide them through the challenges they’re dealing with. There’s something very satisfying about being part of that moment of realisation and understanding. Ethics matters because it allows us to be the best that we can be. Emily Avila comes to the Ethics Centre from the film industry where she worked extensively for production companies and film festivals across Australia, including as assistant to Oscar-winning producer Emile Sherman at See-Saw Films and in scripted development at Essential Media & Entertainment. Prior to joining the Ethics Centre, Emily was artistic director of the Heart of Gold International Short Film Festival. Emily also directs her own narrative work – her short films In a Cane Field and Fitting are both Vimeo Staff Picks and have screened at film festivals internationally. She holds a Bachelor of Fine Arts (Film) and a Postgraduate Diploma of Education. I am driven to connect people with new ways of seeing and understanding the world around them. I got into the film industry because I believe storytelling is an essential part of the human experience, and that film is one of the most emotive, transportive mediums we have to convey our stories. Through working on the IQ2 debates and Festival of Dangerous Ideas, I look forward to connecting audiences with some of the world’s best thinkers and storytellers. Ethics is the stuff of life - it prompts us to think more deeply about how we behave and what we value in our relationships and our communities. Hilary has worked in fundraising and external relations for more than 15 years, in universities, government, indigenous advocacy and the arts. She has an MBA and an Economics degree, and brings a clear, open communication style, and a creative, inclusive approach to her work at The Ethics Centre. In combination, these help her bring diverse people with different skills together to support, maintain and advance a more ethical society. Philanthropy helps people manifest the change they want to see in the world. It gives us the chance to make a meaningful impact on society as it evolves, investing in what really matters, for everyone’s benefit. As for The Ethics Centre – well, you’d expect it to be staffed by smart, caring people. It’s my privilege to work with a genuinely erudite and warm-hearted team who stimulate and stretch me every day. Ethics is the route to a more humane, culturally vibrant, and contented society. It’s the tide that lifts all boats. Jack studied Philosophy and Psychology at the University of Sydney, completing his Bachelor of Arts in 2017 with First Class Honours. He has supported The Ethics Centre’s Advice & Education team in research capacities over the last two years, contributing to their work on cognitive bias in decision making, and ethics education in financial services. In 2018, he joined the Centre full-time as a Graduate Consultant. He brings insights from contemporary political philosophy, moral psychology and skills in qualitative research to consulting projects across a variety of sectors. I enjoy the practical and theoretical sides of our work. Our work inspires me to think about how the language of values affects the way people feel, engage with others and view their organisation. On the practical side, I relish the opportunity to learn about the problems organisations face across different sectors, and the research that runs alongside this. I believe people can greatly benefit from reflecting on how their decisions are shaped by, and help shape, their worlds. During his time at the The Ethics Centre John has directed our major consulting projects, leadership, people and culture programs and product development. Drawing on 20 years as a consultant, lecturer and researcher in ethics, leadership, cultural studies, innovation and social entrepreneurship, John has worked with Australia’s largest organisations in developing and delivering solutions to bring ethics to the centre of business design, people and culture development and organisational decision making. As Director of Innovation, he leads the development of our tools, frameworks and programs. Whats inspires you about the work you do? Helping individuals and organisations make sense of complex problems, large and small. Bringing solutions that are practical, collaborative and which draw on the inherent wisdom of those who are most directly affected by the challenge. As human beings we are unique in our ability to choose what matters most. Because of this, ethics is at the centre of what makes a meaningful life, for ourselves, and for others. Kym produces The Ethics Centre’s live programming, commissions and edits online content, hosts talks and panels, and is executive producer of IQ2 Australia – the local arm of the international series that aims to raise the standard of public debate so it’s smart, civil and fun. Kym is a multi-award winning journalist who has produced long and short form television news and current affairs, online documentaries, and countless interviews with people around the globe. You’ll find her at The Ethics Centre knee-deep in research, juggling a couple of phones, a laptop, a camera and a good old fashioned newspaper. 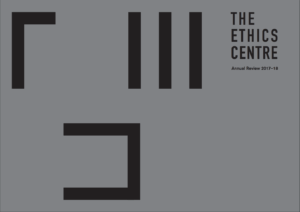 Working at The Ethics Centre is being immersed in a perfect mix of creativity, ideas, arts, and journalism. Few places could offer such a stimulating environment. Pursuing different truths and conversations that matter is incredibly rewarding. It sees us engage with diverse and unique thinkers who stretch and challenge my understandings of the world and what’s ethical every day – a fortunate thing. We all want a better world. Our different ideas about how to get there are what makes it interesting. Mary Anne beings over 30 years of experience to her role at The Ethics Centre. She has held leadership roles with responsibility for finance, human resources, marketing and operations in top tier legal and management consulting firms, as well as in investment banking firms in Sydney, London and New York. She holds an undergraduate degree in Economics and an MBA. The Ethics Centre is unique. It’s inspiring to work with such a committed team of people. I’m excited to be able to utilise my commercial experience to ensure that The Ethics Centre is in a sound financial position and operates efficiently. Ethics teaches us how to improve as individuals and as a society. Naomi is a CPA qualified accountant with a background in external reporting and taxation. She has extensive experience in global investment firms and is a great asset in keeping the Centre’s balance sheet and auditor’s file in line. I’m constantly inspired by how such a small organisation can produce so much good. With a small team, our work extends to so many areas of society and helps people from all walks of life. That’s why I give my job a lot of attention, to make sure everything goes smoothly. Ethics are our moral principles. Sally is an education management specialist. Managing an education portfolio at The Ethics Centre, Sally has brought years of experience in designing, curating and managing innovative learning programs for adult learners to the role. She has worked across a wide variety of sectors, including management roles at The Australian Institute of Company Directors and the Faculty of Medicine at The University of Sydney. My favourite part of my role is seeing the lasting impact a great learning experience can have for people. The need for a deeper knowledge of ethics spans all parts of the community and professions. Being able to offer education that is transformational – and not what a participant is expecting to do – is both fun and inspiring. In this rapidly changing world we're bombarded by polarity. The need to connect with ethics is more important than ever. Sarah is a marketing and communications specialist with over 20 years of experience. Since studying degrees in economics and commerce, she has worked with clients across the finance, technology, sustainability and non-profit sectors, both in Australia and the UK. She’s passionate about visual communication, and bringing difficult concepts and new ways of thinking to new and diverse audiences. I love that our work makes ethics really practical, relatable… even, dare I say it, fun! Ethics offers an incredible invitation to better know yourself, discover where you stand, take a deeper look at what’s happening in the world, and actively shape it. I love that I get to help so many more people explore the infinite, mind-bending world of ethics, and introduce them to new ways of thinking about themselves and the world around them. As everything in life gets busier and more complex, to me, ethics is the voice in my head that’s constantly checking in, asking: “Are you doing the right thing here? Talya is an experienced educator who has worked extensively in both the formal and experiential education space. 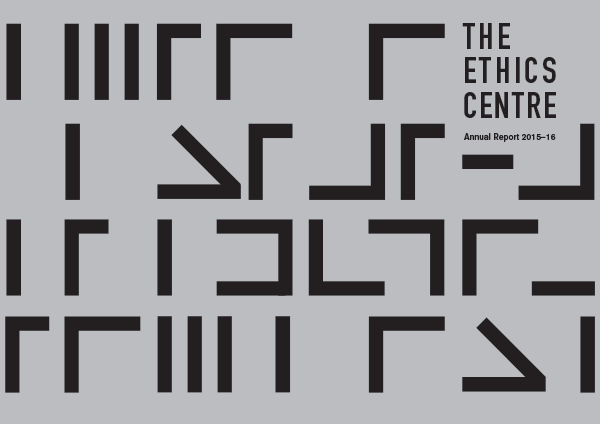 At The Ethics Centre, Talya helps to create innovative, engaging and quality ethics-focused education. She is passionate about developing learning that challenges assumptions and leaves a lasting impact. Talya regularly gives talks and runs interactive workshops on the topics of leadership development and positive culture. Ethics education allows people an opportunity to delve into parts of their lives and selves that they may have never previously contemplated. It’s a never-ending process of learning, questioning and growth. A focus on ethics is a focus on how we can individually and collectively help to make the world a better place. Tess is one of our longest standing staff members, having joined the Centre in 1999 after a successful career in the fashion industry. She’s been the engine behind our accounts and membership operations for close to 20 years, relishing the close contact she has with Centre Members and the Ethi-call counselling service. Over the many years I’ve been working at the Centre, I am, and have been, constantly inspired by our members and supporters. Hearing their stories and belief in what we do spurs me on to try to never let them down. I am also very much inspired by my colleagues, their work with organisations and individuals, as well as their commitment to make a difference. For me, ethics is about striving to have good relationships with the people around you. Wendy joined the Ethics Centre in early 2018 and has an extensive career working as an Executive Assistant in a variety of organisations and sectors including PWC, Bus 2000, AAP and Aussie Home Loans. “I really enjoy what I do, and get great satisfaction from helping others to achieve success”. Coming from a broad range of industries I have had the opportunity to see the inner workings of business and being in this role allows me to reflect on what Ethics at work really means and given me a renewed lens on the business world. I’m passionate about working with a team who has a combined purpose of making a meaningful difference in the world. Ethics is something we ‘do’ every day – even if we don’t realise it – and allows us to live with principle and purpose. For 30 years we’ve worked with thousands of people and organisations across the globe to tackle the ethical challenges they face, or set the foundations to confront them when they come. Here is a glimpse at the impact our work creates. Ethi-call, has supported people through their toughest challenges since it was established in 1991. Staffed by trained volunteer counsellors, it’s the only service of its kind in the world helping people untangle difficult and often painful ethical problems that leave them feeling stuck or alone. children in NSW primary schools who opted out of weekly scripture class were denied an opportunity to engage in meaningful activity. Its introduction in 2010 now allows over 40,000 children each week from more than 450 schools, to foster critical thinking that enables doing what’s right. In the aftermath of the global financial crisis and subsequent financial services scandals, the banking and finance industry struggled to regain public trust. The Banking and Finance Oath (BFO), created in 2012, has reinforced a commitment to ethics through its network of growing signatories. AMP Capital invited The Ethics Centre to help them design a robust ethical investment framework and define clear no-go investment boundaries. As a result, AMP Capital divested $600m from tobacco and manufacturers of munitions. Our work is only possible because of you. Let’s see what we can do together to put ethics at the centre. Where can I find out about current volunteering opportunities? Do you have people available to speak at events or in the media? We’d like to partner with you. How can I get in touch? Do you hold events outside Sydney? Do you offer an event space for hire? Do you offer any ethics courses? Who makes up your board, and how do you choose them? Do you lobby the government on certain issues? Why do you work with people and organisations who have demonstrated questionable ethical practices? Do you name and shame unethical behaviour? The choices we make shape the world we live in. How we engage with the unknown, the difficult or the opposed, all have an impact. The Ethics Centre exists to bring ethics to the centre of everyday life. We support people and organisations to embed ethics in their thoughts and action and gain the calm and strength that comes from living true to the standards we set for ourselves. 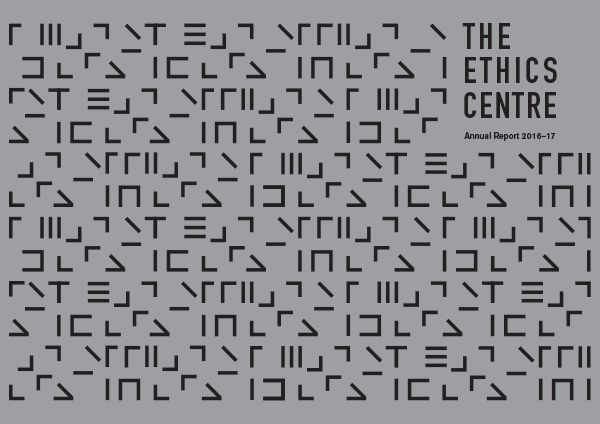 The Ethics Centre is an independent non-profit. We’re funded by donations, membership fees, grants, ticket sales and consulting fees. We’re not in anyone’s pocket and we’re not government funded. A breakdown of the revenue that keeps our doors open can be found in our latest Annual Report. There are so many ways you can support us; from attending an event, and signing up to a professional development workshop or webinar, to donating, volunteering and becoming an Ethics Centre Member. Find out more about being part of our work and our community of changemakers here. We love to hear from enthusiastic volunteers and have benefited enormously from vollie muscles over the years – from supporting our free Ethi-call counselling service, live events, research and administration. Check out our volunteering page for the latest opportunities and information. A number of experts within our team are available to speak at presentations, conferences, workshops and other functions. Likewise, we’re regularly approached by media – including Guardian Australia, The Australian, Sydney Morning Herald, Australian Financial Review, BBC, ABC, The Mandarin and The Project – for an ethics take on the issues in the news. Please get in touch to find an expert. So much of what we’ve achieved has been the product of positive partnerships with like-minded organisations – the University of NSW, Vivid, Sydney Opera House, VICE, Australian Institute of Company Directors and so many more. We would love to chat about how we can work with you, lets start the conversation. It’s true, most of our events are held in Sydney. Occasionally, we hold them in other cities, and would really love to do more. You can find out more about upcoming events on our experiences page. We also film many of our events, which are available to watch anytime here. Sure do! We’re lucky enough to call heritage-listed Legion House, our home. Originally constructed in 1902 for the YWCA, it served as a women’s hostel and outreach service for over 60 years. Reopened in 2013, it has been artfully refurbished into one of the most sustainable designs in the world. We invite you to share our space and host your own events, meetings, workshops, forums or celebrations. Find out more here. We offer a range of workshops and courses for individuals and organisations, including our Ethical Professional Program and our regular workshop we call Ethics At Work. Find out more about our current programs here. Our board is made up of 11 Directors who give generously of their time and knowledge. We also support the Board Observership program. Our Board members come from a wide range of professional backgrounds with diverse interests and beliefs, each of them share a passion for engaging with the ethical dimension of life. You can view our board members information within the latest annual report on our 'why we're here' section. We’re not a lobbying or public advocacy organisation, nor are we resourced to perform this kind of work. However, we’re often asked to contribute to social debate via submissions into parliamentary enquiries. We do this to canvass some of the core ethical issues deserving of careful considerations and to help provide the ethical foundations on which all good laws should be built. We have a code which governs the clients we’ll work with. As a general rule, we won’t work with anyone who’s engaged in an activity which inevitably leads to harm – so that would exclude tobacco companies or weapons manufacturers, for example. No we don’t. It’s not our job to act as a “moral policeman” for society, and nor is it very realistic. How would we investigate? How would we afford the legal fees when someone sued us for defamation? Instead we work to counsel those who have made poor choices and help people and organisations build the foundations for better choices. The choices we make shape the world we live in. Each of our members and directors are bound by terms governed within The Ethics Centres constitution. Click here to read our constitution.